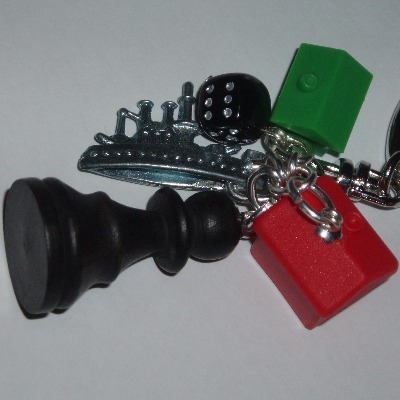 Fun and funky with a green house, red hotel, black dice and a Wooden Pawn Chess Piece. Choose your Monopoly charm from Hat, Boot, Car, Barrow, Dog, Iron. Choose a Light or dark Pawn.